My friend and co-worker, Tenley, presented me with this beautiful yellow rose on Friday at an awards event at work to thank me for my efforts on behalf of her team during the past year . . . The rose actually has a lovely scent. Sometimes, in the hybridization process, looks is given precedence over scent, but this one actually smelled wonderful! In the language of flowers, the yellow rose signifies friendship and highest regard. I'm not sure if my friend knew that when she picked it out, but it couldn't have been more perfect . . . I played around with the background in Photoshop, and then created this collage in Picasa . . . Very pretty rose, a very fitting gift. Your rose is beautiful and I'm sure you must be very appreciated to get such a wonderful symbol from a co-worker. It is true that the newer roses don't have as much fragrance. The knock out roses in my yard are very fragrant and I would like to add more in different colors. Maybe some yellow or peach. I have to learn to edit and do all those fun things with photos! Beautiful and a nice gift too. How sweet!!! 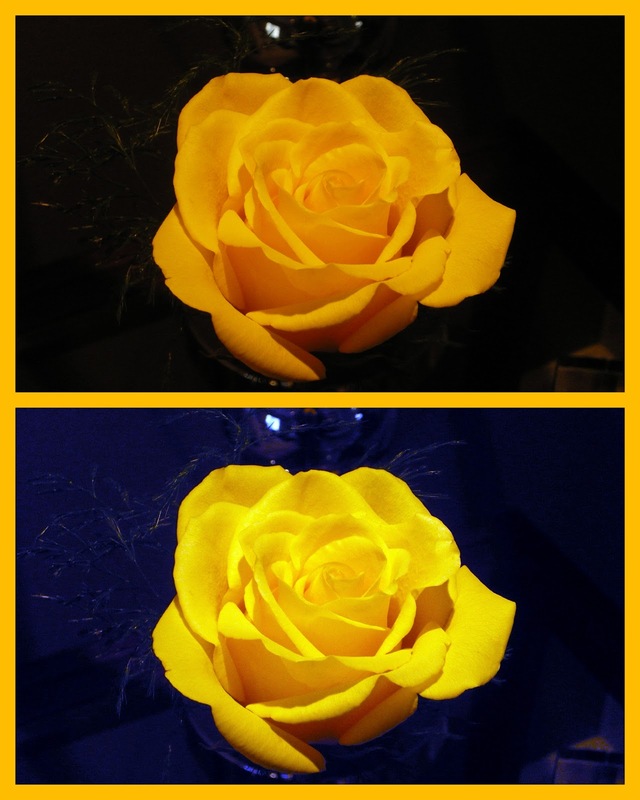 Love yellow roses! I didn't know that about yellow roses Perfect! So nice that you stopped by my place for a visit! Beautiful mess . . . Needing to, but not wanting to . . .